The adjustable memory foam pillow offers a customised, comfortable sleep tailored specifically to you & your sleep position. Tired of feeling like Goldilocks with your sleep pillow? One pillow is too big, the next pillow is too small and the others are either too hard or too soft. The Complete Sleeprrr Original Adjustable Memory Foam Pillow is adjustable to suit your body shape, size and even your preferred sleep position so you get your pillow ‘just right’. Two easy to remove inserts let you create pillow that is perfect for you by giving you easy to change shape and height options that offer responsive support. You really can only get a feel for a pillow after a few night’s rest so if you decide you want more height or more firmness, just put your inserts back in. Our cervical neck support pillow won’t be a pain in your neck. A poor, low quality pillow can be a real pain in the neck and when your neck hurts, everything hurts. 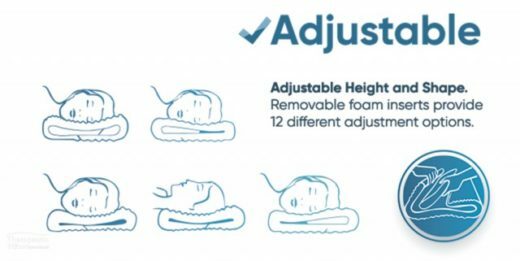 The Sleeprrr Memory foam cervical neck support pillow introduces removable foam inserts, offering you up to 12 adjustment options so you can customise your pillow just the way you like it. 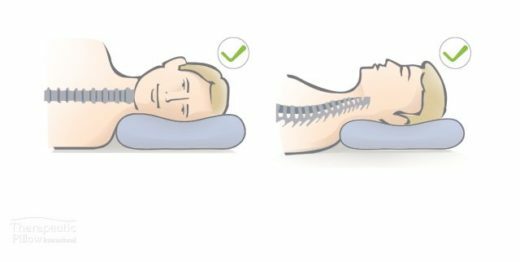 Our contoured sleep pillow has been designed by health professionals to maximise neck support and spinal alignment for optimal comfort and sleep. 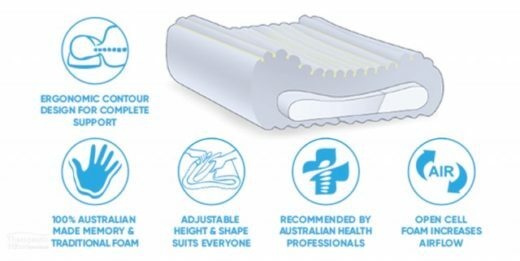 The Sleeprrr adjustable, contoured memory foam support pillow comes highly recommended by chiropractors, physiotherapists, osteopaths, myotherapists, and naturopaths.